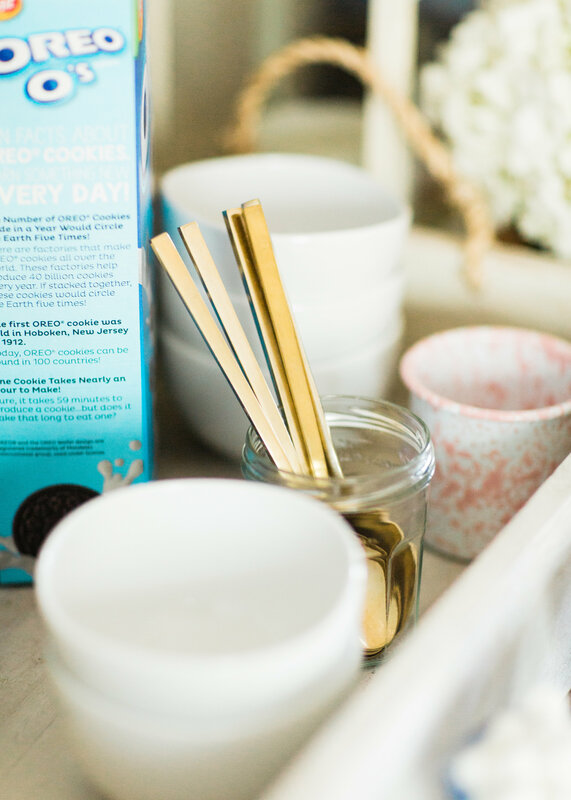 How to Put Together a DIY Retro Cereal Bar | Glitter, Inc. This post has been sponsored by Post®. 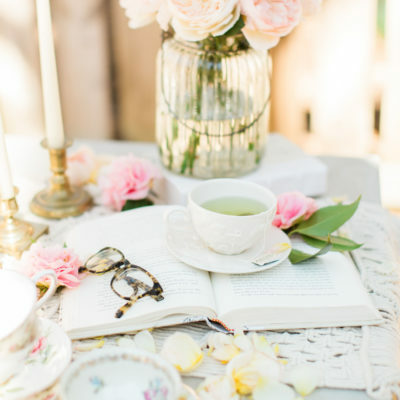 This post contains affiliate links, which means that if you click on one of the product links, I’ll receive a small commission. All thoughts and opinions are my own. Thank you so much for supporting the sponsors that make Glitter, Inc. possible! Read more about our site, privacy, and disclosure policies here. 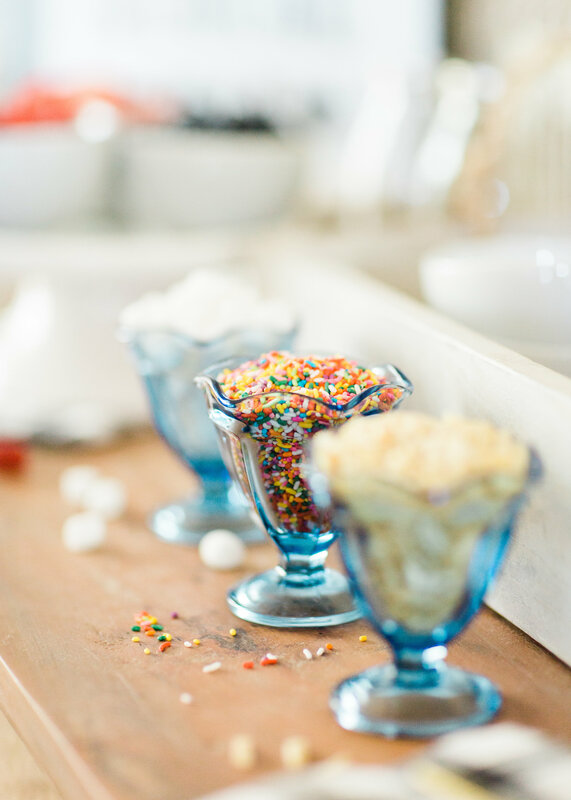 Looking for a unique and easy party dessert station? 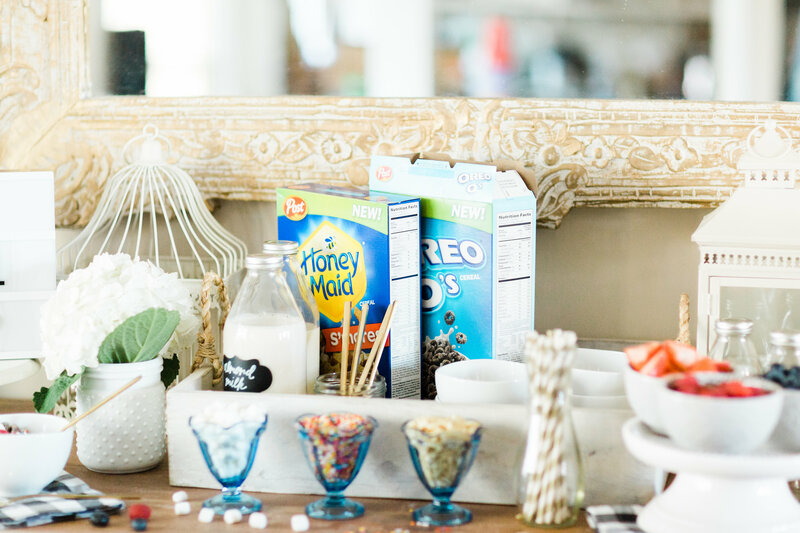 We’re showing you how to put together a DIY retro cereal bar; perfect for a festive and memorable brunch, throwback party, pajama-themed soirée, or sleepover for your kids and their friends! 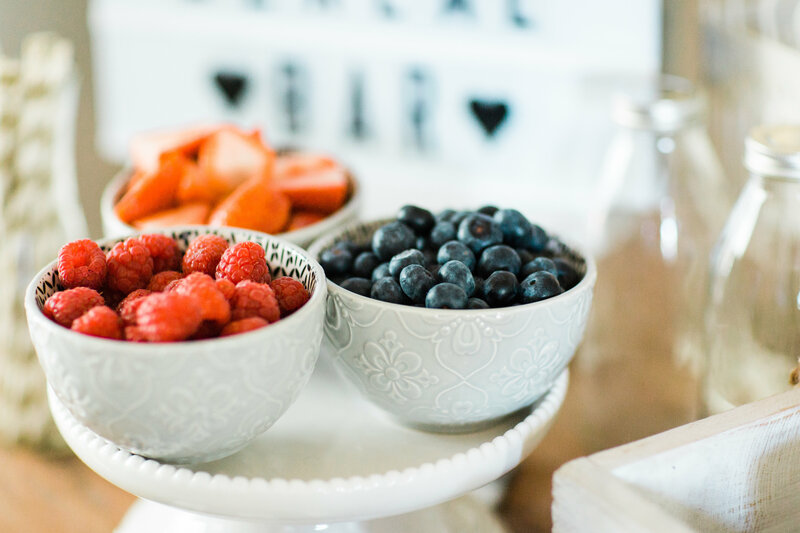 This post is for all of my cereal lovers out there! 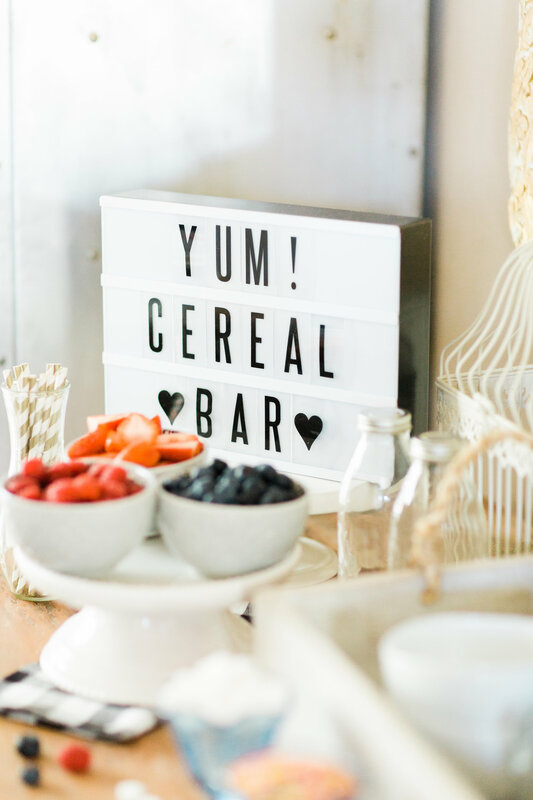 Because let me tell you, all parties that revolve around breakfast or brunch should have a super simple (and fun) DIY cereal bar. 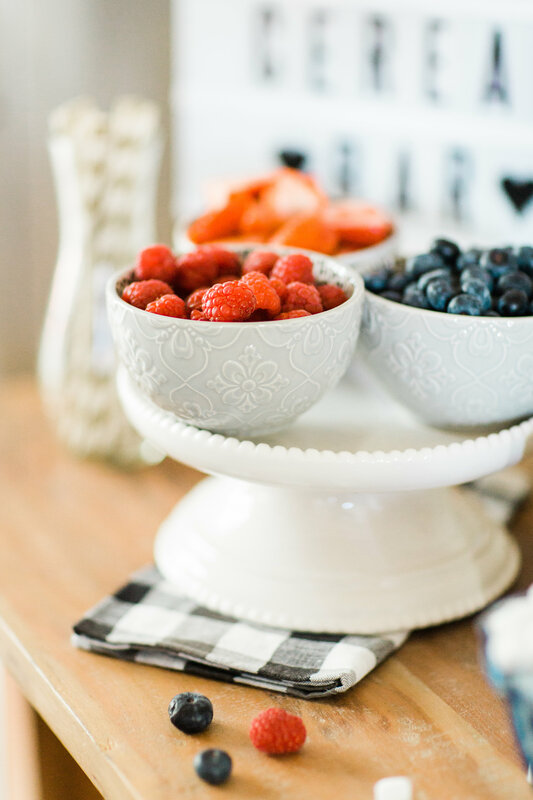 I don’t know about you, but I grew up eating (and loving) cereal. My brother and I used to wake up at the crack of dawn, pour ourselves big bowls of cereal, and park ourselves in front of our favorite cartoons on the weekends. My mom and Grandma are both total cereal lovers; so in our family, cereal is a pretty big deal. That love for me continued on into college and law school, and now, in our family home! 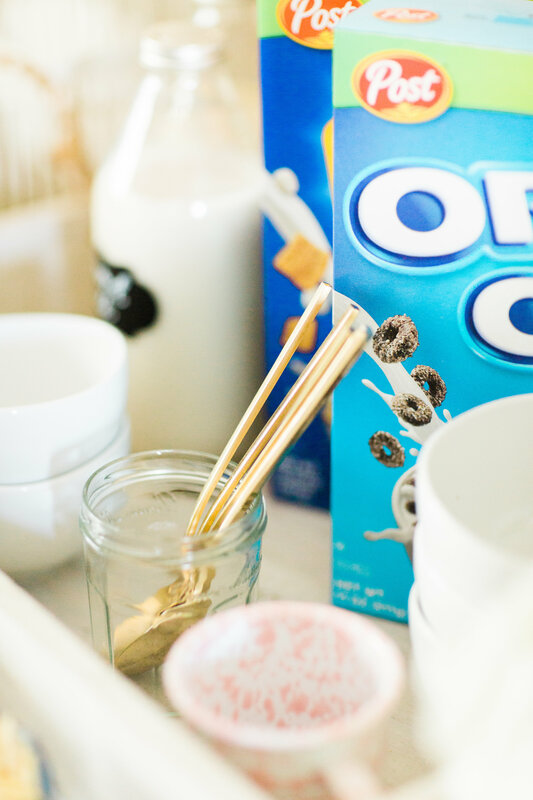 When Post® reached out with their highly anticipated, sweet return of Oreo® O’s and Honey Maid® Smore’s Cereals, I was totally on board. 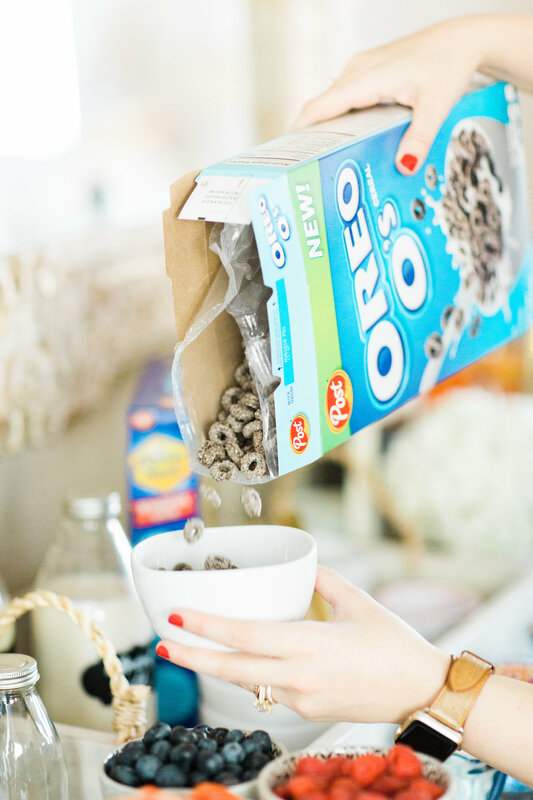 I am SO excited to have re-discovered them, and will definitely be bringing a few boxes home for my mama on our next visit. 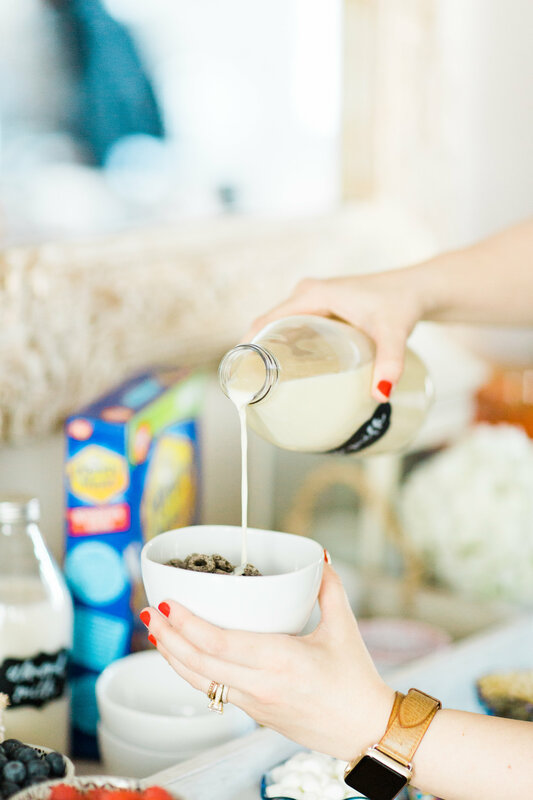 This “retro” cereal is bringing back the nostalgia of eating all of our favorite cereals when we were younger, and I wanted to help bring new sweet cereal memories to my little girls. 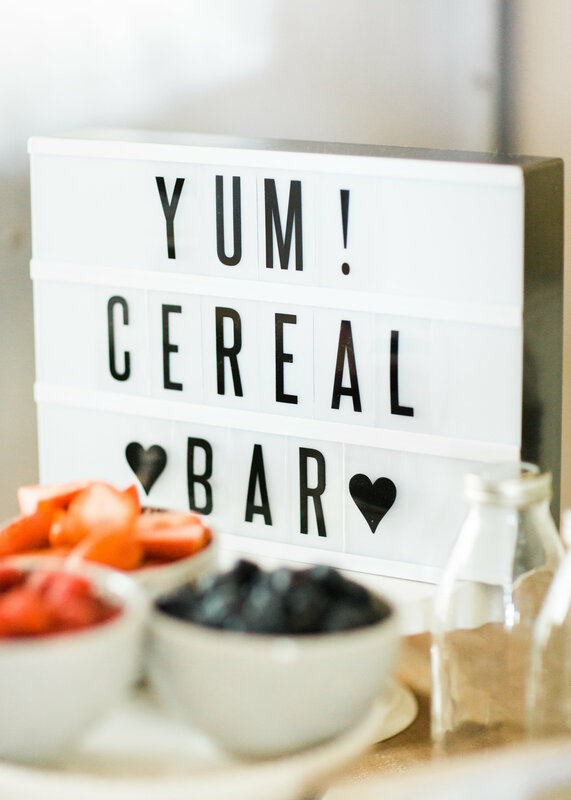 A DIY cereal bar would be so cute at a brunch, throwback party, pajama-themed soirée, or sleepover for your kids and their friends! 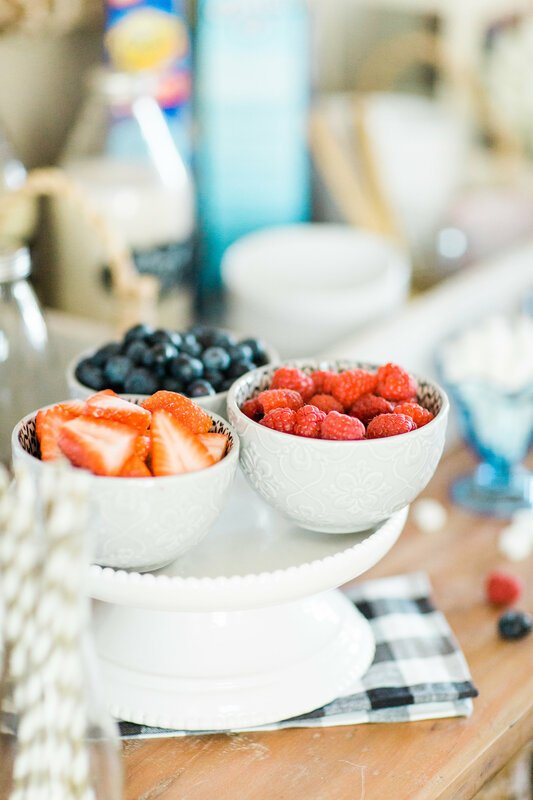 Break out all of the best toppings and give your guests plenty of options. Have fun with it; weigh in on everyone’s cereal mash-ups and creations, and vote on whose cereal concoction is the yummiest. 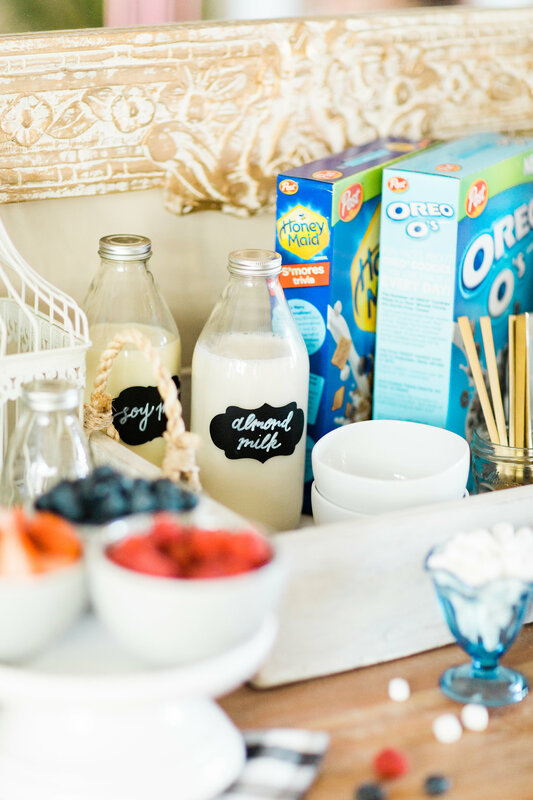 For our own weekend retro cereal station, I set out our boxes of cereal, a few different kinds of milk (we’re a house mostly divided between almond milk and soy milk, but the more varieties of milk, the better), a bunch of fun toppings, cute bowls, and spoons. chopped almonds, peanuts, walnuts, etc. 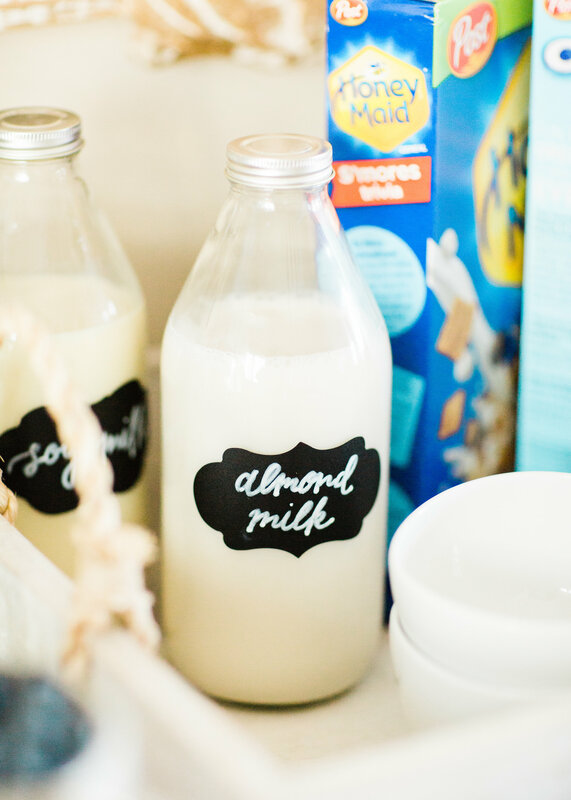 If you want to glam up your retro cereal bar, put the cereal and milks into cool containers, bowls with serving scoops, vintage milk bottles, etc. 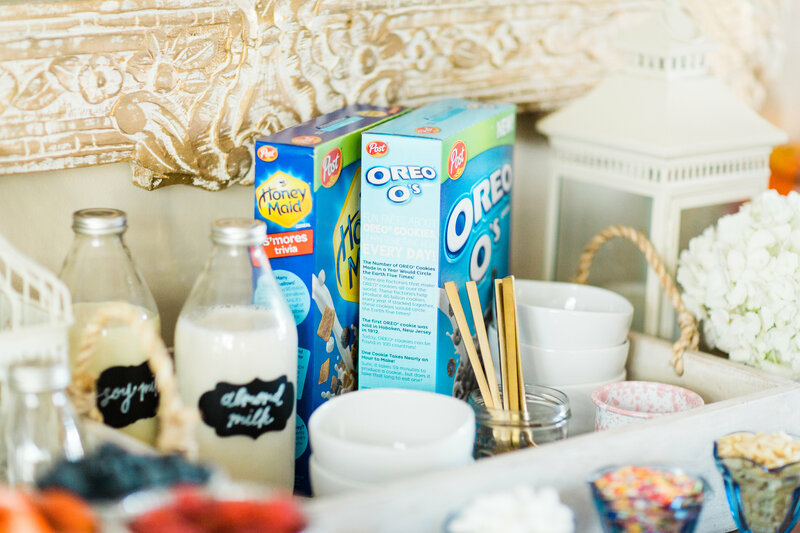 Scarlett, who was already in love with Oreo anything, fell instantly for the Post Oreo® O’s cereal, and it’s been a big hit in our house since this sweet shoot. 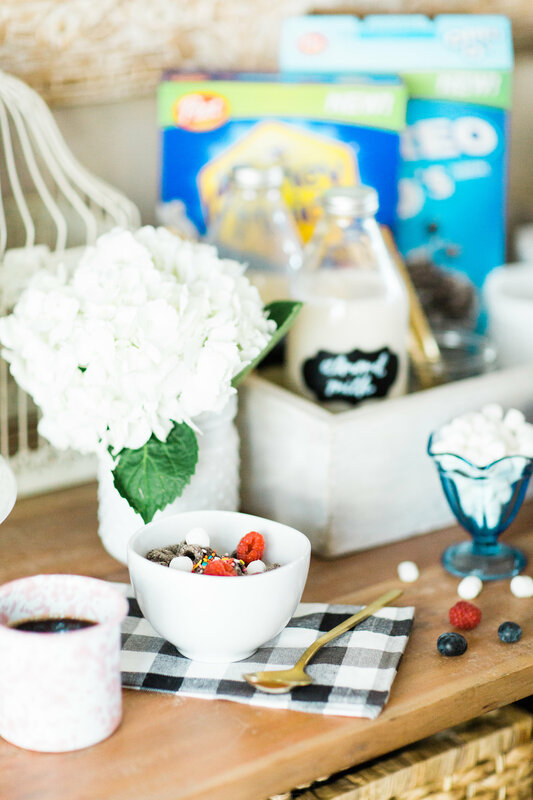 I, in the other hand, am pretty smitten with the Honey Maid® S’mores cereal; I mean, the crisp flavor of graham crackers, sweet marshmallows and rich chocolate – what’s not to love? I feel like a kid all over again just eating a bowl of it. Do you have any favorite retro cereals from your childhood? 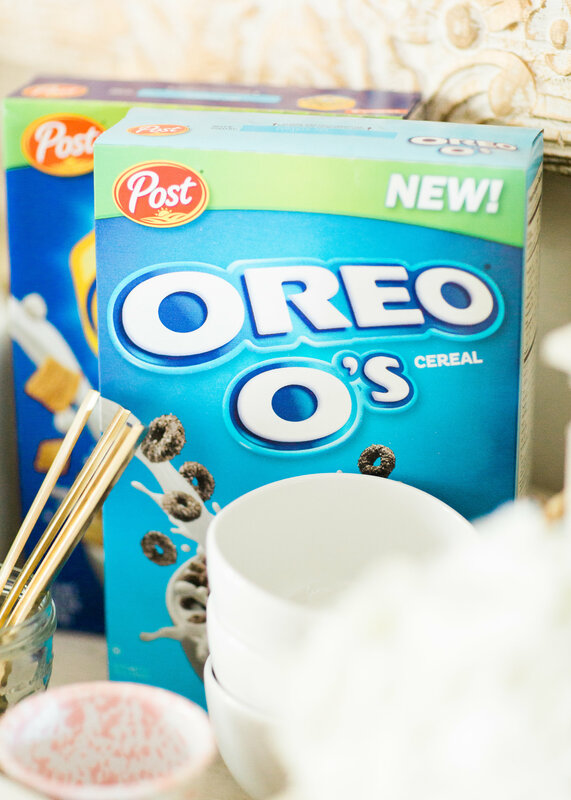 You can find both Post® Oreo® O’s Cereal and Post® Honey Maid® S’mores Cereal at your local Kroger. 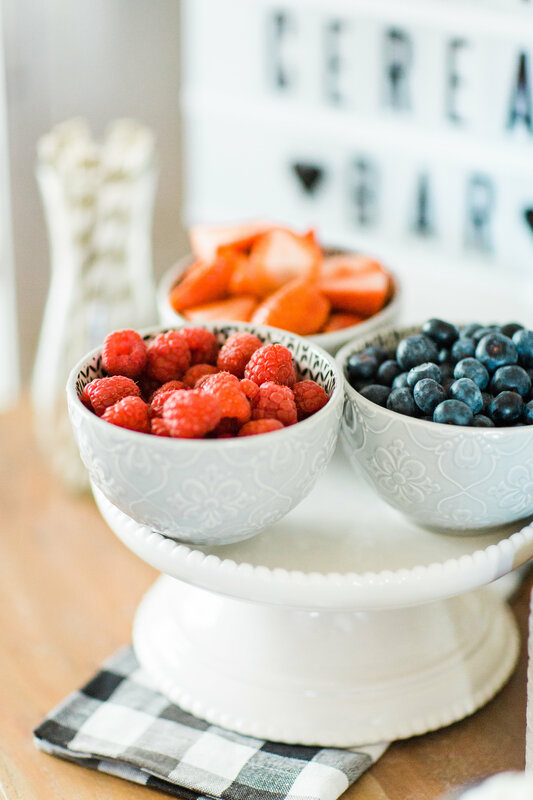 Look for your favorites on the cereal aisle. 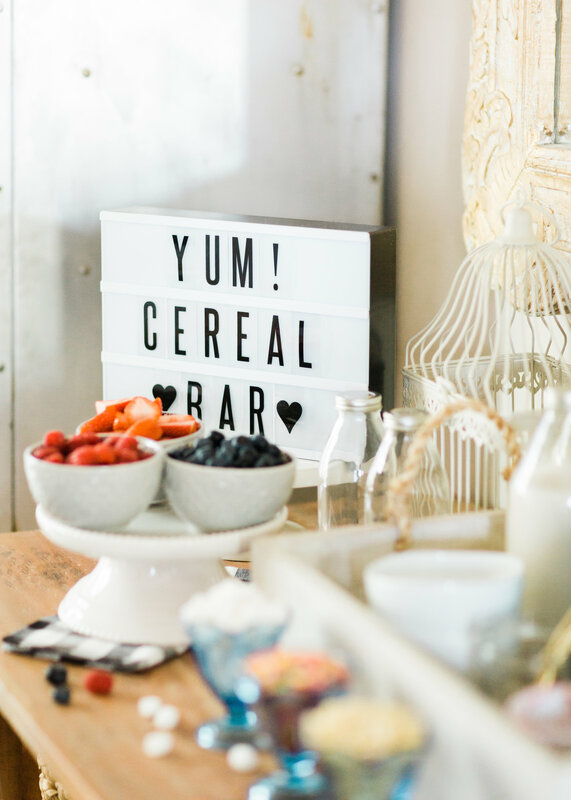 If you put together your own DIY retro cereal bar, be sure to tag me on social media (@glitterinclexi) so I can live vicariously through all of your fun parties!